This programme is amazing! It’s fairly new and I've just reached the end of the first season. The basis of the show is about a family who own a record label, the patriarch of the family is told he has ALS and only a limited amount of time to live. So he needs to decide who he wants to hand the family business over to, obviously this causes rivalry amongst his 3 sons and when you add his crazy – but loveable- ex wife who has just got out of prison to the mix you can only imagine the drama and entertainment! Not only do I watch for the drama, but the music and fashion in the show also have me hooked! Think about it as a more urban version of glee? I AM SO ADDICTED. Without giving too much away about the shows premise the story follows the life of Olivia Pope (Played by Kerry Washington) who owns a crisis management firm. You see the ins and outs of different cases, the lives of her team and obviously her personal relationship and affair with THE PRESIDENT OF THE UNITED STATES. The latest season of Scandal has been so well written and had me hooked! I am a sucker for reality shows and I am actually pretty surprised that I haven’t mentioned more in this post – if I did I would be here all day but I’ll list some down the bottom. 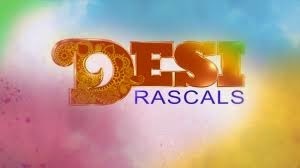 But the newest and most relate-able reality show to hit our screens last month was Desi Rascals and I LOVE it. The series follows the lives of numerous different “desi” families in London. It is such a feel good programme. 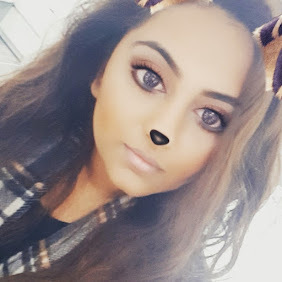 Within the hour you will catch yourself laughing at Moses’ cheesy chat up lines, Cringing at Rita and Owais’ “friendship”, Crying at the loving family dynamics of the Vara family and side eyeing the gossiping and bitching! All in all I think this show is going to do great and seems to have developed a huge following! This show has been going on for yeeears.. it seems like I have watched over a million episodes of this show and yet I still go back for more. A few episodes during the middle of the latest season did put me off and bore me but I'm right back into it and it’s such easy viewing to relax with in the evening. In brief, the story follows a lawyer, Alexia Florrick, who deals with a lot of relate-able issues in her everyday life, from morality, infidelity in her marriage, to balancing being a working woman and mother. This show has HUGE following in America and I can see why. I am not going to lie. I started the newest season of this with such excitement and high hopes but after the first episode I just felt lost and confused. I'm not sure if I missed a whole chunk of episodes (I'm sure I didn't) or the gap between seasons has thrown me off but I had no idea what was going on. I was ready to give up but I knew Underwood had more up his sleeve so I persevered. I'm on the 4th episode of the season now and I'm back to remembering why I was so obsessed with this show last year! You never know what Frank has up his sleeve! So there you have it.. 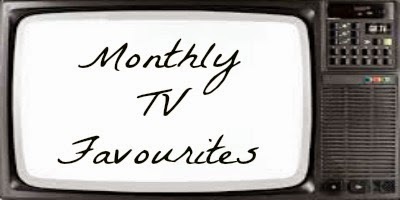 Here are my monthly TV picks for the month. Hope you enjoyed the read..
Do you watch any of the programmes I mentioned? What would you recommend? Let me know if you would like any other different monthly picks in upcoming months.